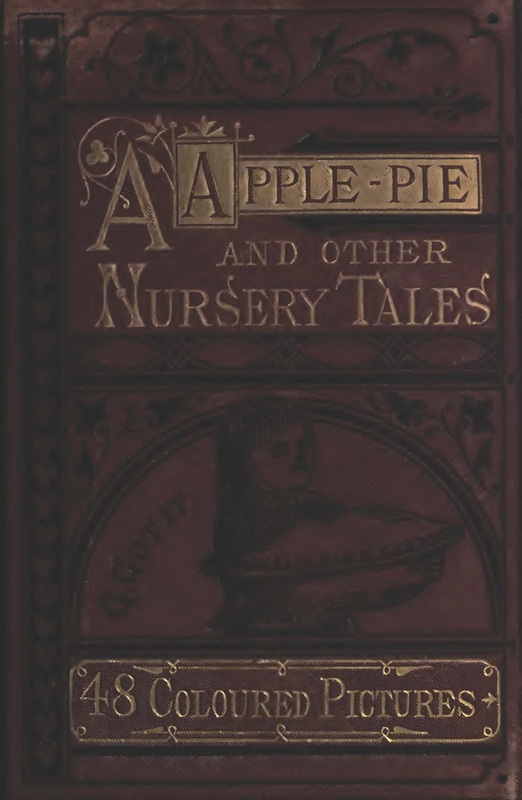 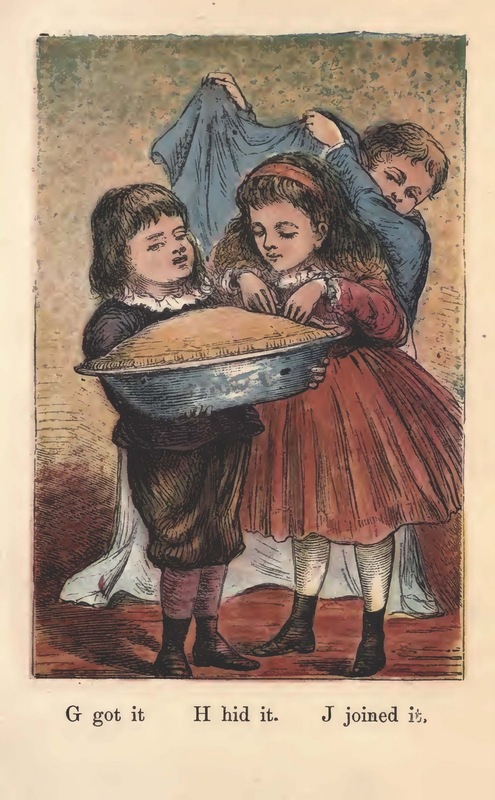 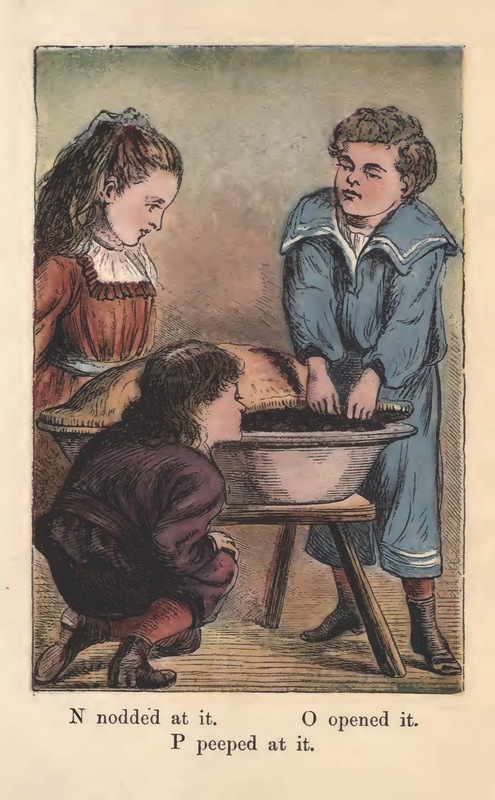 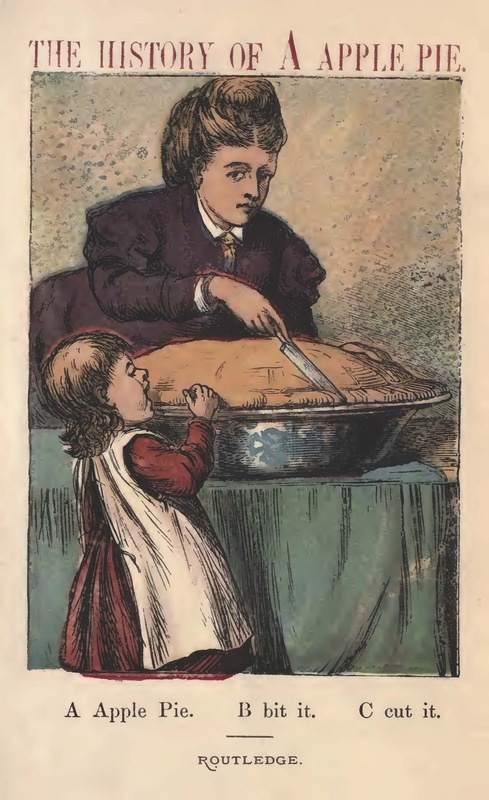 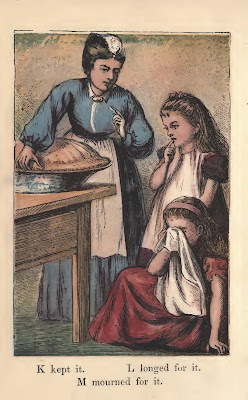 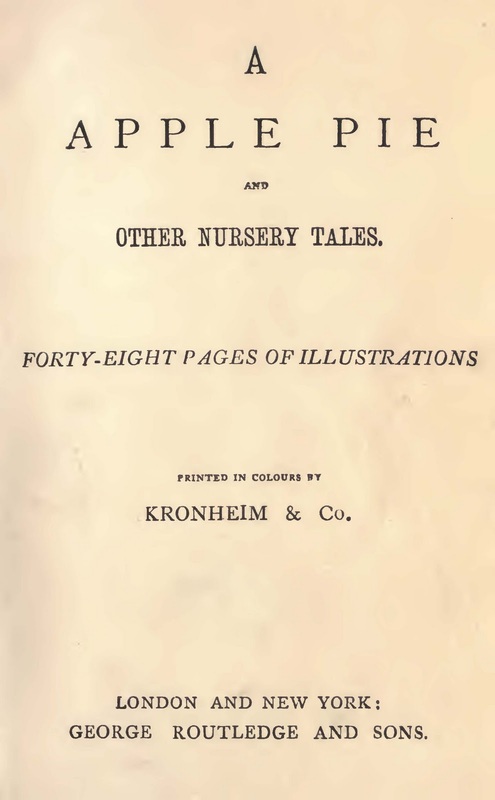 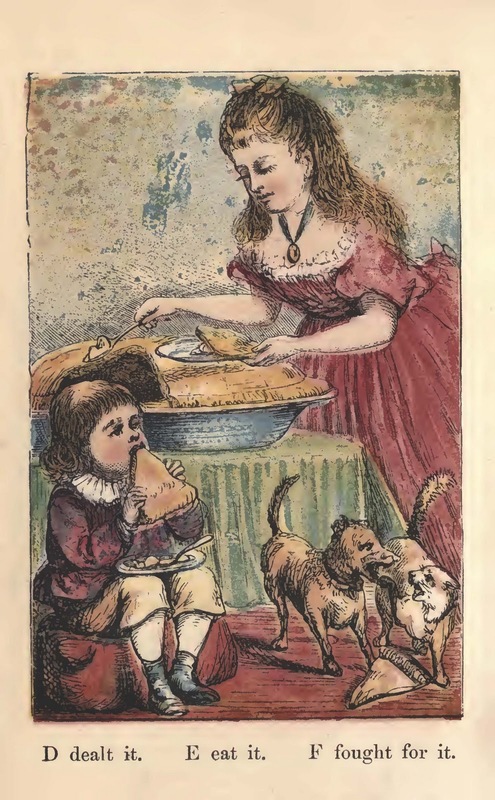 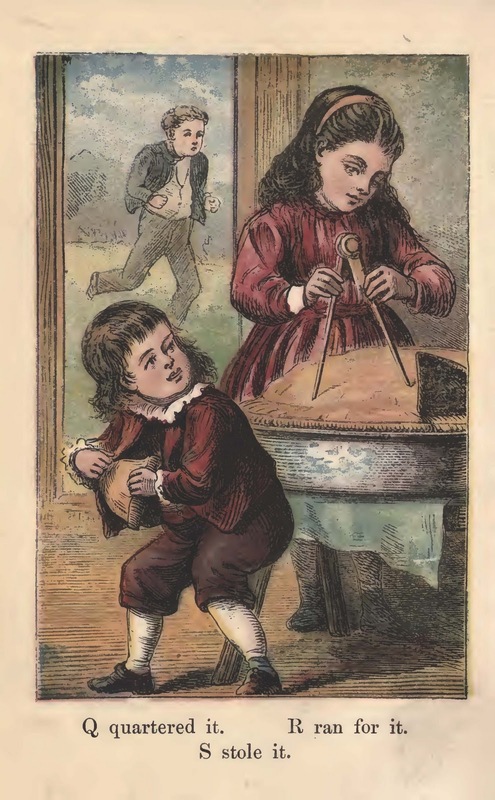 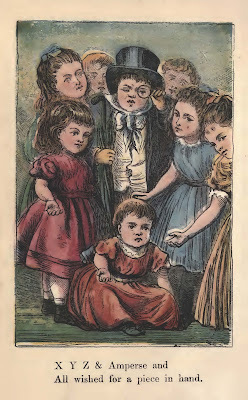 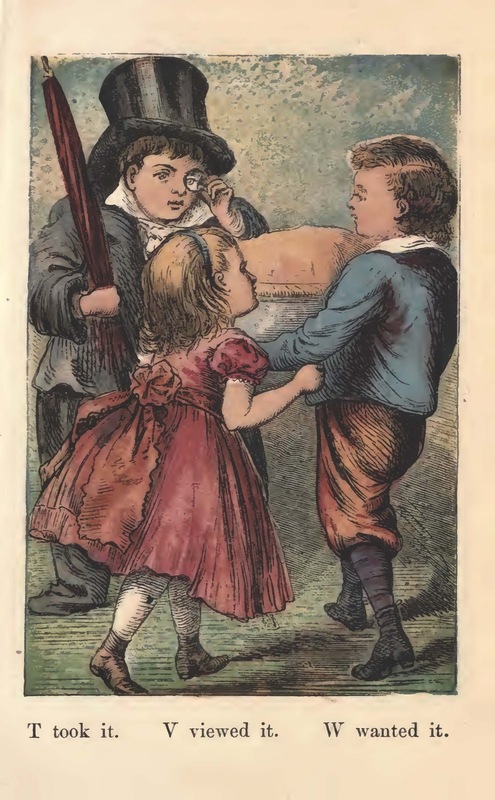 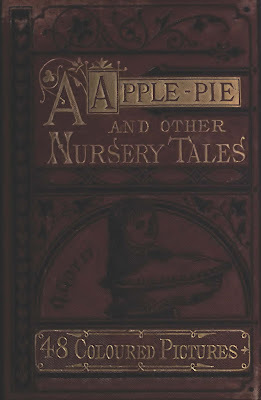 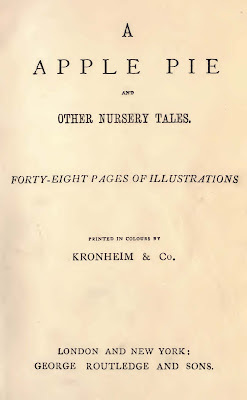 While researching archival pie images and literature, as I am wont to do, I came across this version of a nursery rhyme A Apple Pie, estimated to be from 1870, and published by Kronheim & Company. 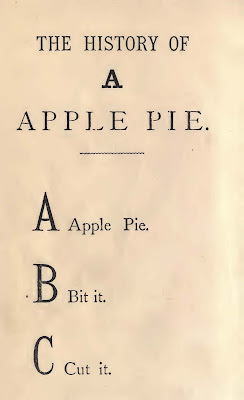 This nursery rhyme seems to have missed me as a a child, but maybe some of you know it? Here's the illustrations, though you can see a pdf of the entire book here. XYZ& amperse and all wished for a piece in hand. 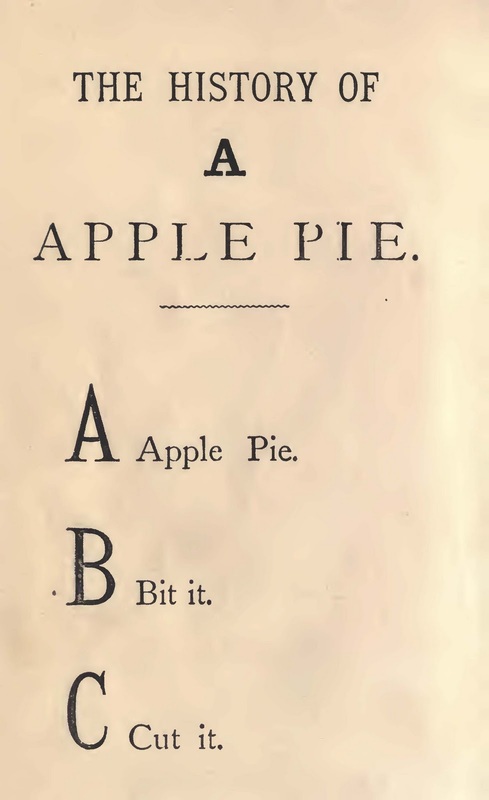 I came across that nursery rhyme in recent past, but I cannot remember where.